Meijer mPerks is a rewards program for Meijer customers. You can sign up for Meijer mPerks by visiting mperks.com or by downloading the Meijer app within an app store on your mobile device. There is no cost to sign up and use mPerks. Digital Coupons: mPerks allows you to clip digital coupons. On my mPerks account there are currently over 450 coupons that can be clipped. You simply click on the coupons that you want to use and they are saved to your mPerks account. To use the coupons at a Meijer, you enter your phone number and PIN on the credit card keypad when you checkout. Note that you will provide your phone number and establish your PIN when you first sign up for mPerks. Also, be aware that a limited number of stores offer an mPerks card that can be used in lieu of entering your phone number and PIN. See a list of participating mPerks card stores here. Rewards: One of the best features of the mPerks are the rewards offered. Particularly, a common reward is $5.00 off your next grocery trip after you spend a certain amount. The current amount you need to spend is $250 or more to receive $5.00 off your next purchase. You have four weeks to spend $250 or more on your various shopping trips to earn the $5.00 off. You can apply your earned rewards at the register credit card keypad once you enter your phone number and PIN associated with you mPerks account. Receipts: If you use mPerks at the checkout, you will be able to access a digital receipt of your purchases when you log into your mPerks account online. Receipts are saved for up to two years so you will have quite a bit of information if needed. mPerks will also break down your spending per month so you have a clear picture of your spending habits. 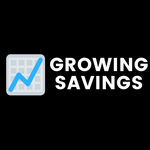 Tracking Savings: You can determine how much you saved using mPerks by accessing your online account. The amount you save will vary based on how often you utilize the coupons and achieve the rewards. Obviously, the more you shop at Meijer, the more you will likely save as long as you remember to enter your mPerks at checkout. I am a regular Meijer shopper who uses mPerks. From January 1, 2007 to November 17, 2017 I saved $122.58 from digital coupons and rewards over 42 visits. My average amount spent per visit is roughly between $125 to $150. Keep in mind that I am not disciplined about clipping the digital coupons. My savings likely would be have been much higher if I utilized the coupons more. We would highly recommend getting mPerks, especially if you are a regular Meijer customer. Clipping the digital coupons can be a pain at times, but the amount you can save makes it worth the effort. The best part of mPerks is that it is free so there is no risk to try it out. I have switched to almost exclusively grocery shopping at Meijer because of mPerks and the savings it provides, in addition to their everyday low prices. I really should consider applying for the Meijer credit card for additional savings for as much as I shop there. Does Publix Take Apple Pay? How Much Does a Book of Stamps Cost? Do Walmart Gift Cards Expire?